I was asked to help pitch the idea of shooting a major content production for Safariland showcasing new products in an authentic way. 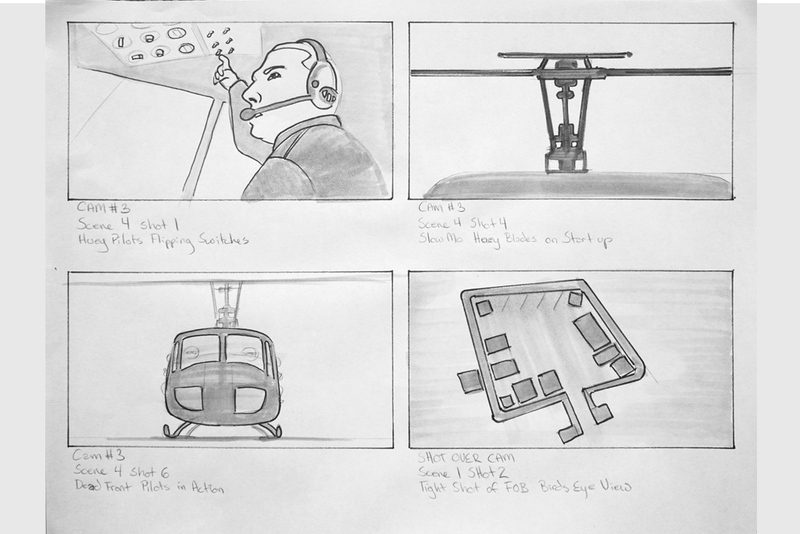 We brainstormed ideas on how to create the story, where to shoot the production, who to include in the film, and what scenes could show off the products in use. 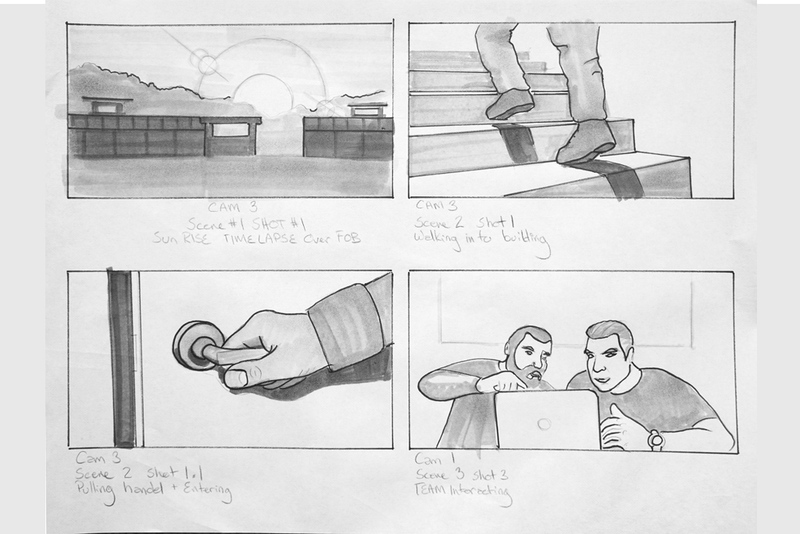 My storyboards were used to pitch the idea and get the budget for the short film. 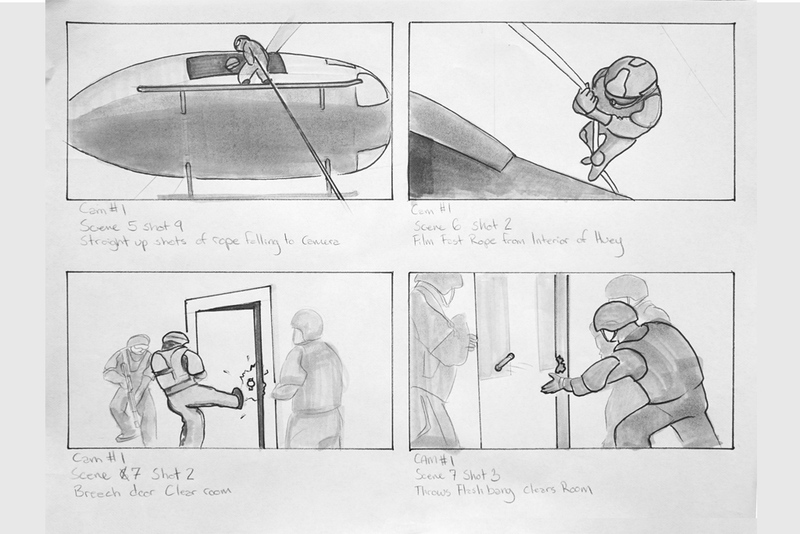 In addition, the storyboards were used for pre-visualizing the shots with the crew that was responsible for shooting it. 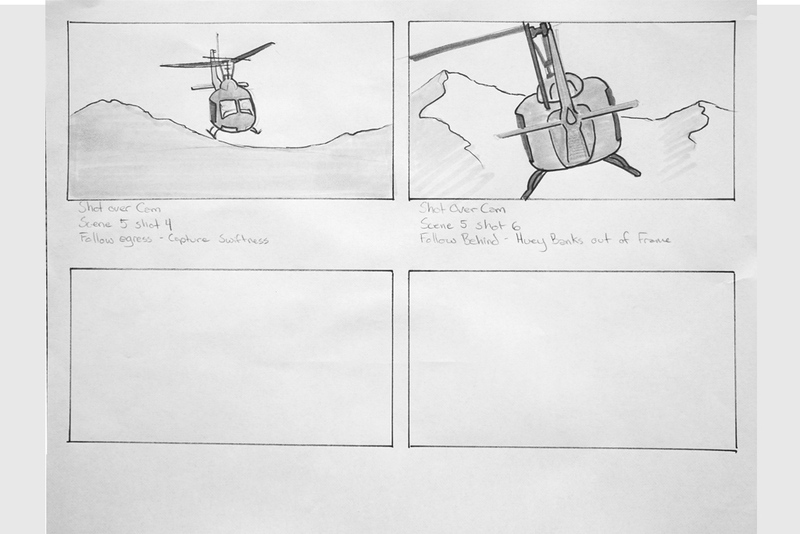 You can see some shots that were framed identically to the storyboards. There was obviously some transcreation between a team of shooters out on site v.s. my thoughts on paper months before but the look and feel remained true to form, and I was excited to see the end result. 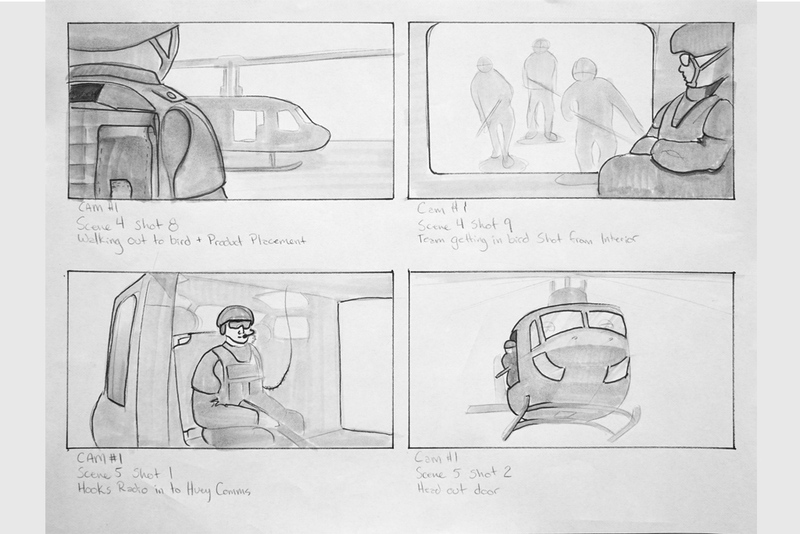 A well-defined storyboard helps to ensure that everyone understands the goals of the project and how the footage should playout. 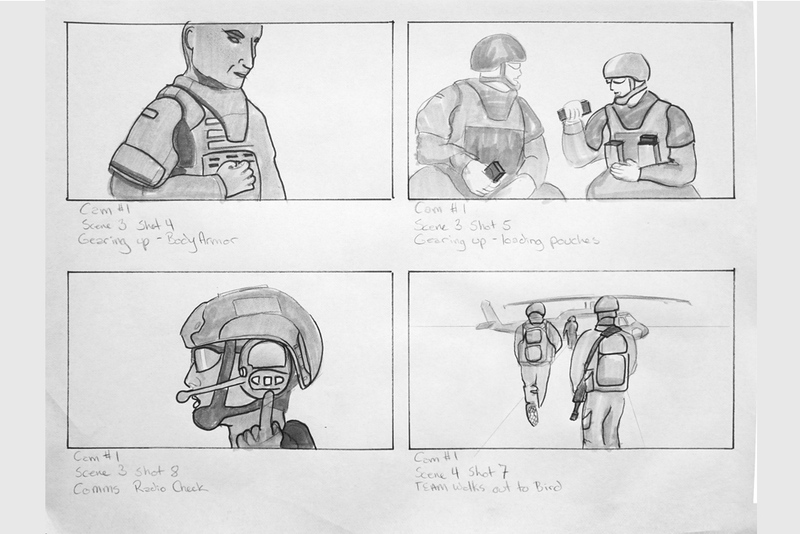 A storyboard uses illustrations displayed in sequence to help everyone understand what the intentions of the shoot are before they start working. Determine the right details early on to minimize time spent on projects and to maximize creativity. 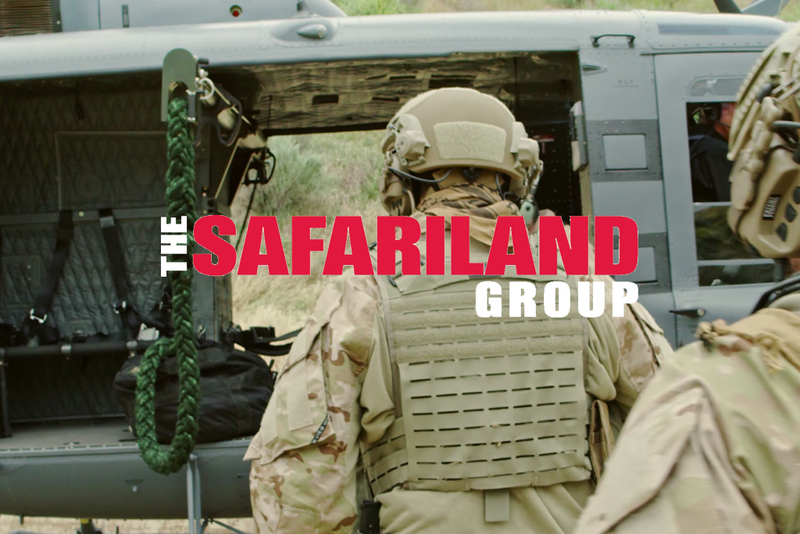 Safariland, LLC is a United-States-based major designer and manufacturer of equipment for sporting, military, law enforcement, investigation and public safety personnel, formerly a division of BAE Systems, Inc. a subsidiary of the United Kingdom-based defense and aerospace company BAE Systems PLC. Safariland manufacturers a wide array of products in the law enforcement space, but only markets a small number of them under the Safariland brand name. The majority of products are sold under other brand names that were acquired when the company became a part of Armor Holdings.